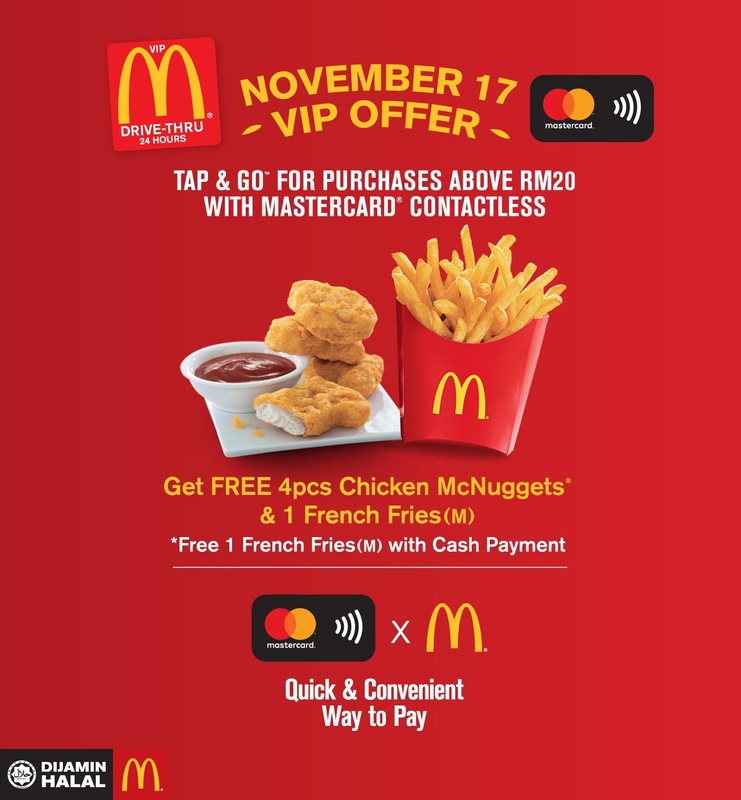 Nov 17 McD Drive-Thru™ VIP Offer: Grab your FREE 4pcs Chicken McNuggets® and 1 French Fries (M) this November when you pay with Mastercard® Contactless at your nearest Drive-Thru™! Just tap and go with purchases of RM20 and above. *Mastercard® Contactless VIP Offer is not applicable for McDonald's® restaurants in Kota Bharu, Kelantan.